I just wanted to share a few gifts that I've made so far this season for some of Paige's little friends at church! 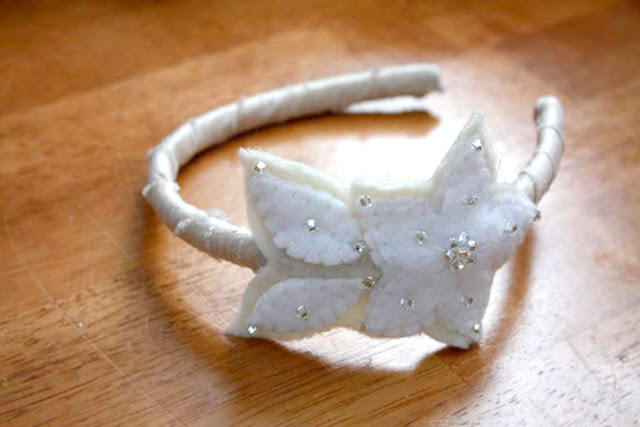 A silk ribbon-wrapped headband with felt flower. A bookmark made from on old vinyl(?) frangrace giftbox. I used an engraving pen that I got the the Dollar Tree not long ago to make the designs and monogram. 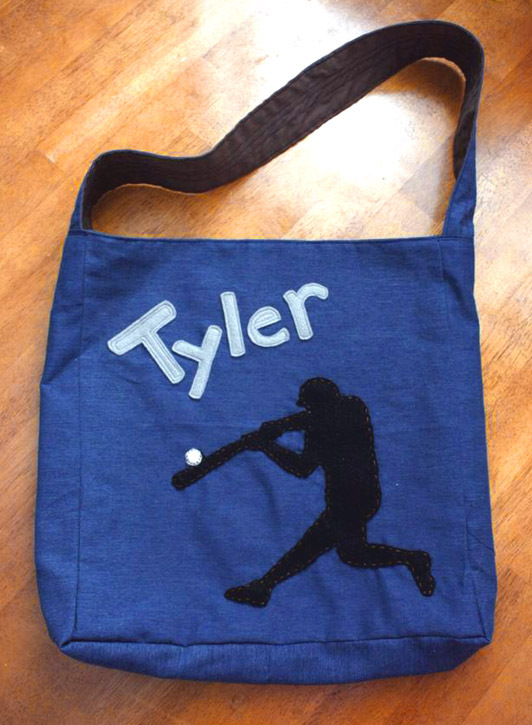 A little man-tote for a baseball-loving boy. An I-Spy bag with fun little trinkets inside. 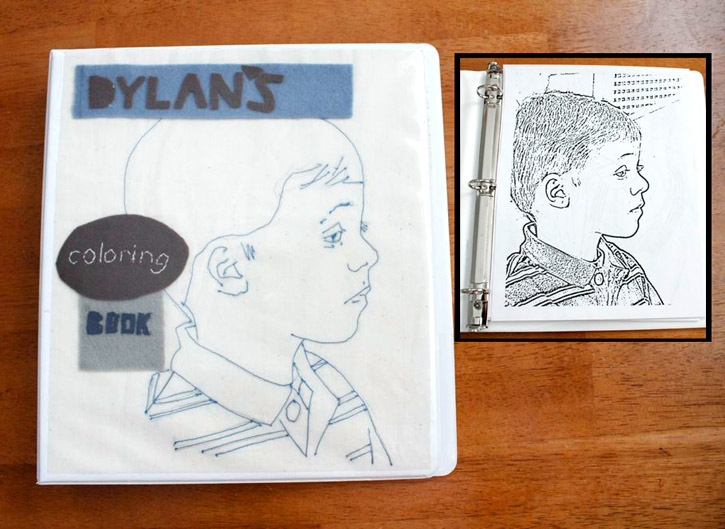 And a personalized coloring book with coloring pages made from photos of this little boy's family. Clean up by covering unwanted marks with white paintbrush tool. I love making homemade gifts, don't you?! Maybe sharing mine will help inspire you for some little ones on your list! I love the coloring pages, great idea!! Do what you can, we all understand! im probably your newest fan and i am *obsessed* with your lovely blog!!!!! i love love love it, your ideas are so fresh and inspiring, thank you for sharing your creativity with all of us! Very cute, I love the headband, I may have to steal that idea. any posts are definitely ok :) love the eye spy! i've never seen that before! So fun! I love the tree! Completely amazing. You have outdone thyself, woman! I am crazy for the tree and squirrel scarf. The coloring books! The bookmark! Too much. Will bookmark and pore over the whole post. Happy December, Disney! Super cute and I wish I had your talent and creative mind! The scarves are adorable! More than ok, we love hearing from you Disney. I love these ideas, expecially the colouring book, truly inspired. I love your ideas--whenever I can get them, I'll take them:). These are great--I LOVE those scarves!!! 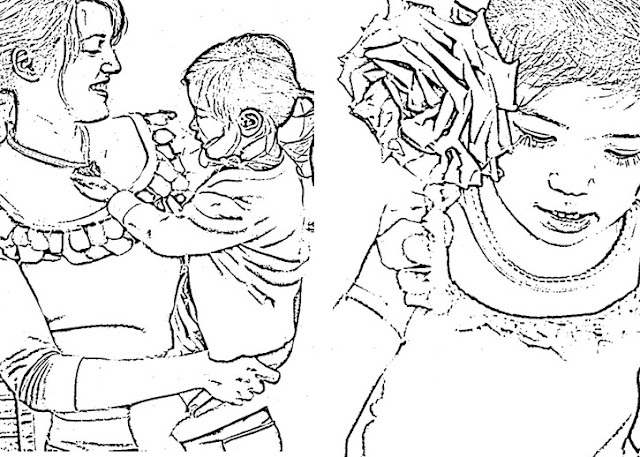 Love the coloring pages--love it all:). Every single one is my favorite. But those scarves are just adorable. Those scarves...that headband...the bookmark...everything else fabulous you made... It's all beautiful! Those are some lucky kids! I love the colouring page idea! It's called the "EZ Engraver", and it frankly doesn't work incredibly well, but for simple things it's kind of neat! I think it's worth a buck. Worth $10 on Ebay? Probably not. So can my daughter be one of Paige's friends because that tree squirrel scarf is just way to cute! I have tried to do the coloring pages before, but mine have never come out looking that good, thanks for the directions so hopefully it works a bit better for me next time. And yes I love the way you are posting now! I love the scarves and coloring pages! What fun ideas. I love it when you have new posts. Your blog is always so amazing! Really cute stuff...love the coloring pages,genius idea. cuteness :o) thank u for posting these great ideas. very cute idea. Thanks for sharing! I love hearing from you. I'm always happy to see a post by you! Love the coloring book idea and the squirrel and little tree are adorable! love the colouring book, what a fabulous idea! I hope you're back. I just recently discovered your blog, and I'm in love. Love the coloring book idea - how cool is that?! Way better than any Disney princess! A few posts every now and then are better than none :) Thank you for sharing these fabulous ideas!!! What great ideas. I love them all! What great ideas Disney! :) Now I have some ideas for my niece! It's fun to have you post from time to time, it's like a little surprise! The tree is so cute and I just love the coloring book! awesome! I was so happy to see you posted again! The coloring book is awesome. Hi Disney I'm so happy with your new post. 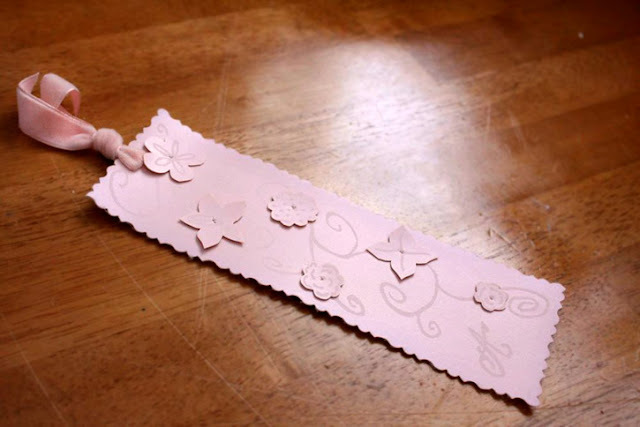 Could you show as the diy for the headband I will love to make some for my girls. You dont know me, but I saw this on a post that Jessica Mcdonald made. I love the coloring book and want to do that for my neices. However I dont have Photoshop, I have paint. Do you know how to make these on paint? Wonderful! 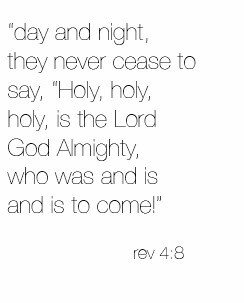 I'm sure they will all be received with the same love with which they were created. Hugs and Merry Christmas! I'm so happy everytime I read a post from you! So you know, post when you can, no pressure. Love the coloring books idea. I decided to DIY most of my gifts this Christmas and I might try this one (if I can get it right on Photoshop). these are really sweet and cute and awesome. great ideas, thanks. Do you know of a tutorial for the "I-Spy bag"? I'd love to make them for my nieces. you inspired me, I just made a boy scarf using your idea. My little guy hasn't taken it off yet! Lol. Thanks so much! Very, very , very clever! 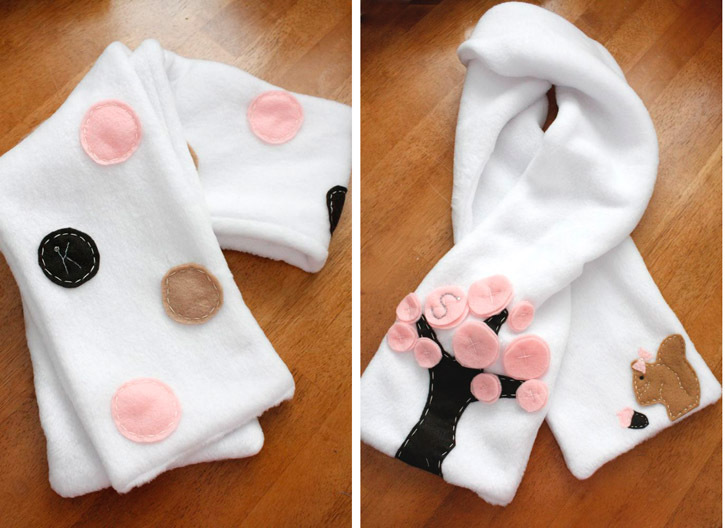 I was just thinking about making little fleece scarves for my girls at church, and there you go! Some CUTE IDEAS! Thanks! These are so cute! I love the beads/rhinestones? on the headband! I need a sparkly headband, and you have totally inspired me. Thank you for continuing to post! It's always a fun surprise when I stop by the site and there's a new post. Hey Dis! I love it when you drop back in. Great gift ideas and thank you for sharing them. The coloring book idea is genius! What a sweet idea! I love the I Spy bag and the adorable scarf, too. You rock. i <3 that tote!! so cute! I'm so glad you're still blogging, even if it's not as often as it used to be! But for those of us who haven't got the clever crafting gene like you, could you post the tutorial for the i-spy bag??? I LOVE it, and my youngest (a little younger than yours) has only "friends-who-are-boys" this year. They would love this too!!! I love the scarves and the headband- it's so beautiful and wintry. The coloring book is such a great idea! Beautiful snow pictures. You should give photo classes as you always have the best shots. 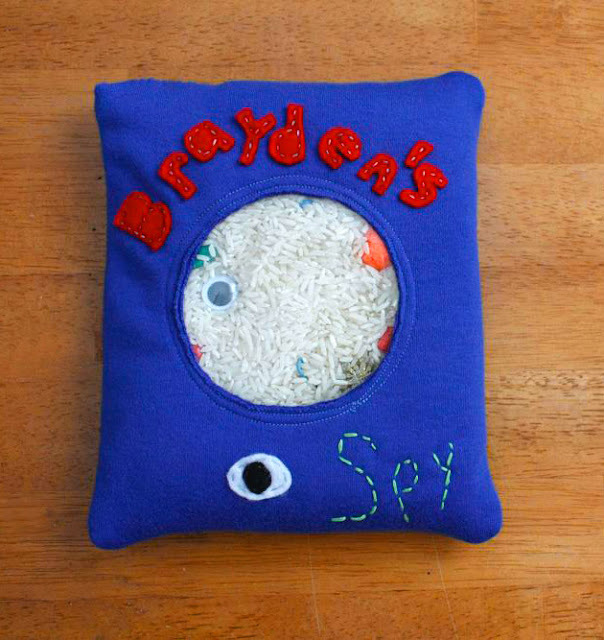 Your ISpy toy is genius and will be a stocking gift for four little girls here. Thanks for sharing your great ideas. Happy Christmas to you and your family. I heart your blog. Coloring book...genious. I'm so making my little girl a scarf now! I LOVE the coloring book idea and tried to do it but my pictures are turning out black with white lines. Any suggestions? Thanks! I am going CRAZY over those scarves, they are sooo adorable!! Shea: Make sure to invert after using the photocopy filter and it should turn your picture into white with black lines. Hope that helps! Wow, you are soo creative! Just found your blog through a link to your LOFT frilly tank. Thanks for sharing your ideas! Love this idea! I followed all the steps, but I didn't know what Invert was. Would you mind clearing that up? Thanks! Disney, your I Spy pillow is brilliant! I've been looking for a way "soften" I Spy jars for little kids and a pillow is perfect!